Bay laurel wreathes once crowned the heads of ancient heroes and the leaves guided the predictions of the Delphic priestesses. Today bay laurel is best known as fragrant culinary herb often used to flavor soups and stews in Mediterranean cuisine, but bay is good kitchen medicine too. 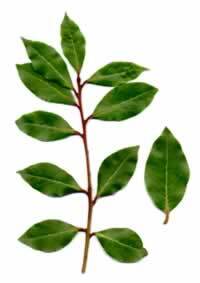 Preparation Methods & Dosage :Bay laurel leaves are dried and used in cooking, mainly to flavor meats and stews. Bay leaves can be taken in tea, used in herbal baths, and infused in oil. 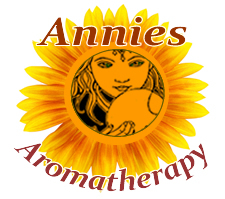 The leaves are the source of the distilled essential oil. Bay laurel oil is used topically to relieve pain. Bay laurel essential oil is distilled from the leaves and has a sharp, spicy scent. In the Kitchen: Bay leaves can be picked and used year round to flavor meats, soups and stews. Bay Laurel Side Effects: Bay Laurel oils should never be used by women who are pregnant, since it may cause spotting and the berries have been used to promote abortion. The oil should never be taken internally and can irritate the skin. Be sure to always dilute the oil well and use it in very small amounts. Bay laurel is hard to grow from seeds or from cuttings. It is often best to buy a sturdy young plant from a reputable nursery. Bay trees can be grown outdoors in moderate climates, and must be sheltered indoors in wintry weather. A large container with wheels is ideal for moving the tree indoors in winter and outdoors for the summer. Sweet bay trees need plenty of sun and good drainage. Bay trees grow up to 60 feet tall in their native Mediterranean home and in coastal California, but stay under 6 feet tall when grown in containers. The shrub has been cultivated in Britain since the sixteenth century. It is the source of the ancients' crowns and wreaths for heroes and poets, and the modern term of `bachelor,' given for degrees, is probably derived from bacca-Zaureus, or laurel-berry, through the French bachelier.